When we are young, our skin contains natural collagen. It’s this natural collagen that makes the skin strong, flexible, and full of natural volume. 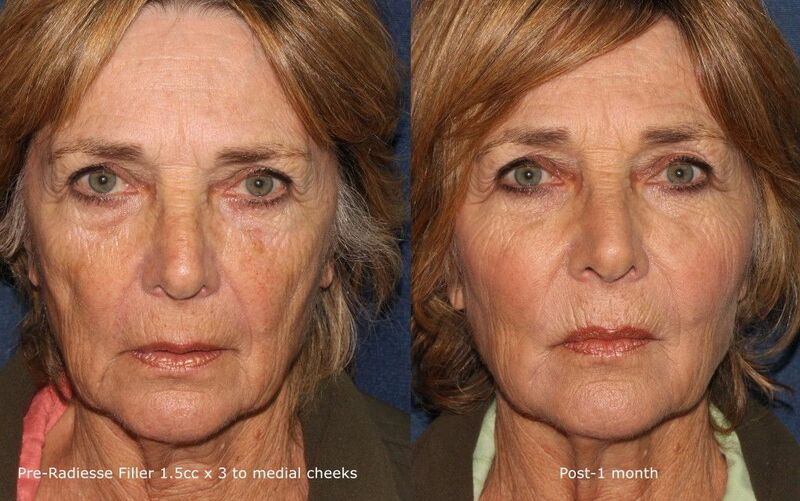 However, as we age, collagen breaks down, resulting in less facial elasticity and volume. 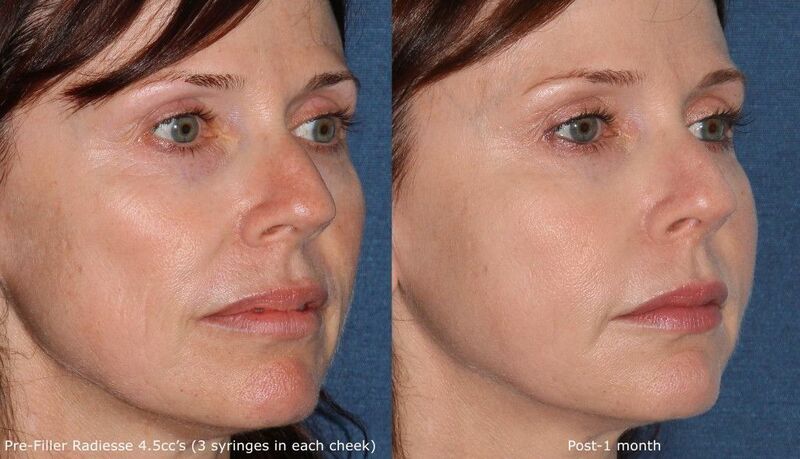 Radiesse is the only FDA-approved injectable dermal filler for treating volume loss in the hands and face. 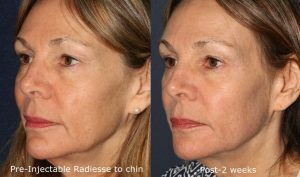 Best of all, Radiesse not only achieves beautiful, natural-looking results, but the immediate volumizing effect can last as long as 12 months. 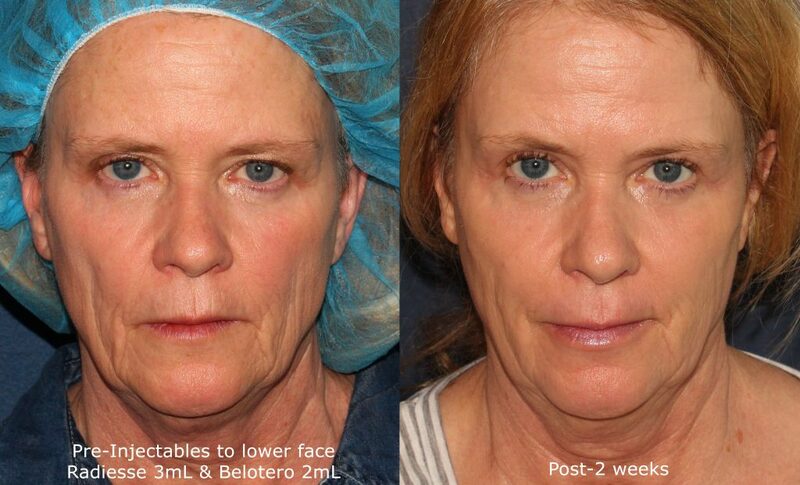 This filler, which is made of calcium-based microspheres, works by stimulating your body’s own collagen production for long-lasting correction and smoothing. The world-renowned dermatologists at Cosmetic Laser Dermatology are proud to announce that we have been named the only “Radiesse Hands Center of Excellence in San Diego!” Our expert injectors have such extensive experience and expertise in administering Radiesse for younger, smoother looking hands that Merz, the makers of Radiesse, have honored our team with this distinction. At Cosmetic Laser Dermatology, our dermatologists are world-renowned injectors of dermal fillers with an unparalleled level of expertise, and we perform Radiesse treatments ourselves, instead of having a nurse or assistant do it. Radiesse smooths wrinkles, creases, and indentations in the back of the hand as well as reduces the appearance of veins and tendons, which tend to become more pronounced as we grow older. As with most dermal fillers, the injections may cause minimal side effects, such as redness, swelling, itchiness, or bruising. However, these effects typically fade over a few days. Read our pre/post treatment guidelines for Radiesse. 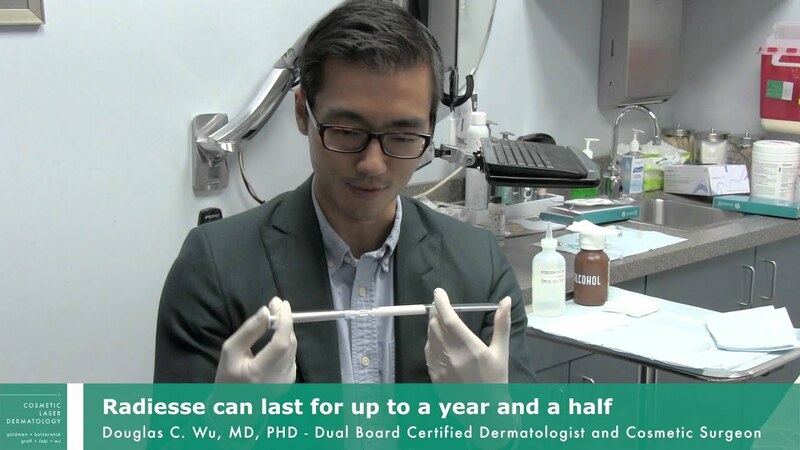 Each of the skilled cosmetic dermatologists at CL Derm has thorough training and experience with a wide variety of medical and cosmetic dermatologic treatments, including Radiesse. Injectable dermal fillers are highly effective, but it is crucial to undergo injections with a dermatologist who is not only on the forefront of the latest injecting techniques but also has years of experience and a strong track record for successful results. Led by the esteemed cosmetic dermatologist Dr. Mitchel Goldman, the doctors at Cosmetic Laser Derm offer only the highest-quality hand injection treatments with the best patient care available in San Diego. In addition to Radiesse, Cosmetic Laser Dermatology offers Ultherapy as an innovative hand rejuvenation treatment which can be used alone or in combination with various fillers for optimal results. Purchase 2 Restylane Lyft or 2 Radiesse syringes and Receive 3rd syringe at 50% OFF! For more information about the monthly specials offered at Cosmetic Laser Dermatology, visit our Promotions page.